Dillon Bates' renewal request is denied amid allegations that he had inappropriate relationships with female students, which he disputes. 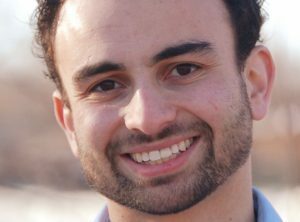 A former state legislator from Westbrook who resigned his seat amid allegations that he engaged in inappropriate relationships with female students can no longer teach, coach or work in a school environment now that state officials have refused to renew his credential. The state Department of Education denied Dillon Bates’ renewal request on the basis of sexual harassment laws, officials said Wednesday. Bates has not been charged with any crimes. On Wednesday, he continued to deny the allegations through his attorney, Walter McKee. McKee said Bates appealed the Department of Education’s initial findings, but withdrew his appeal for “purely practical” reasons. “(T)he reality of his situation was that he will not be in a position to use his certification in the near future given the media coverage of the false allegations made against him,” McKee said in an emailed statement. Democratic House Speaker Sara Gideon sought Bates’ resignation after The Bollard, a monthly publication in Portland, published a story Aug. 3 alleging that Bates, a two-term Democrat who represented House District 35 in Westbrook, had inappropriate relationships with “at least three” female students over several years. The story did not identify the students or the people who made the allegations. Last November, Bates abruptly resigned from his job as drama coach at Maine Girls’ Academy in Portland, and in August the Schoolhouse Arts Center in Standish announced on its website that Bates had resigned as its education director and would no longer be affiliated with the organization. Bates also resigned his position coaching boys’ and girls’ cross-country at Massabesic High School in Waterboro this fall, officials at Regional School Unit 57 said several days after publication of the Bollard story. A Department of Education spokeswoman said Wednesday that there would be no further information about the state’s credential investigation and findings. The state Department of Health and Human Services, which investigates allegations of child abuse and neglect, confirmed that it investigated a complaint about “a faculty member” at Maine Girls’ Academy, but found insufficient evidence to pursue criminal charges. The department did not identify the faculty member, but McKee confirmed the investigation was about Bates. 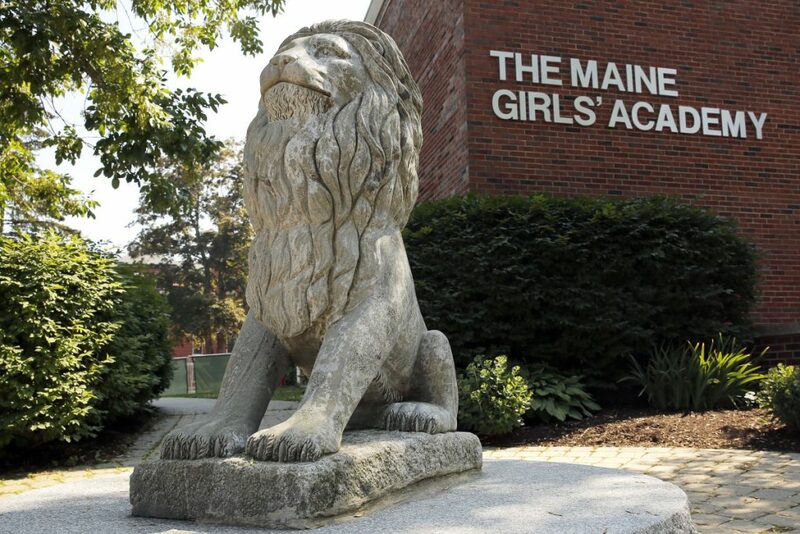 “The department investigated a complaint of alleged sexual misconduct regarding a faculty member at the Maine Girls’ Academy. This investigation was concluded in June of 2018. At that time, based upon the available evidence, there was not sufficient evidence to meet the statutory threshold of a finding of child abuse or neglect,” Caroline Ferguson, manager of research and communications at DHHS, said in an email. Officials at the former Maine Girls’ Academy have refused repeated requests to interview them about Bates. The private all-girls school – formerly the Catherine McAuley High School – closed abruptly in July, stunning alumni, students and families. School officials cited low enrollment and revenue for the closure. Suspicions of inappropriate relations between a teacher and student must be reported to the state. All school employees are required to call a 24-hour hotline to report any suspected abuse, neglect or exploitation of a student. Three former employees at Maine Girls’ Academy told the Portland Press Herald that they reported the allegations of misconduct to the hotline last November, the week Bates resigned from his job there. DHHS investigates for criminal activity, working with local law enforcement when necessary. When its report is concluded, if it involves a person holding a credential, the findings are turned over to the Department of Education, which does its own investigation into whether the person should be allowed to retain credentials. The investigations in both departments are confidential, and the Department of Education provides only limited information about cases that end with the revocation or denial of a credential. The term “credential” in Maine applies not only to specific teaching credentials held by teachers in a particular subject. A “credential” is issued to all school employees who must pass a criminal background check, such as bus drivers, coaches and cafeteria workers. Bates was issued an initial credential, which was to be renewed this summer, that indicated he had passed a criminal background check. Bates has been continuously employed as a coach or teacher for years, and is involved in public theater. He co-owns a theater company in Westbrook and was a former camp counselor and director at the Schoolhouse Arts Center at Sebago Lake. After he left Maine Girls’ Academy in November 2017, he continued to coach the boys’ and girls’ track teams at Massabesic High School. Previously he has been an athletic coach or drama teacher at multiple schools, including Greely Middle School in Cumberland, Lincoln Middle School in Portland, Bonny Eagle High School in Standish, and Gorham High School and Great Falls Elementary School in Gorham.